Pretty much daily I stumble upon old buildings that are underutilized or now used for something boring. 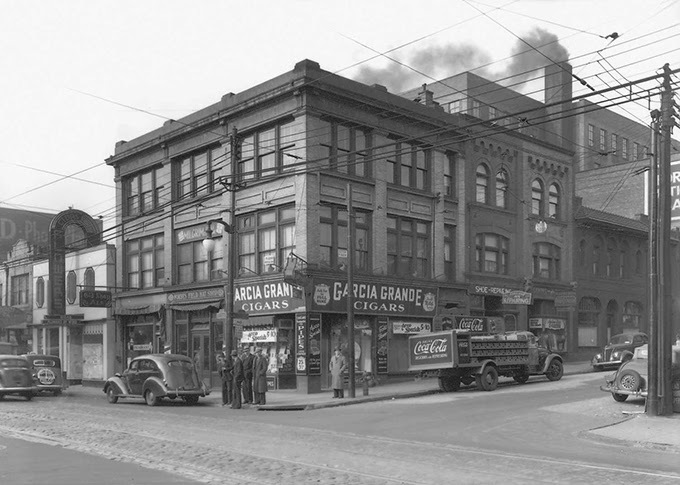 You can tell just by looking at the buildings that at one point they were nice places or had some alternate usage. When you get into a neighborhood like Oakland in Pittsburgh, pretty much every building in the neighborhood was something else at some point. 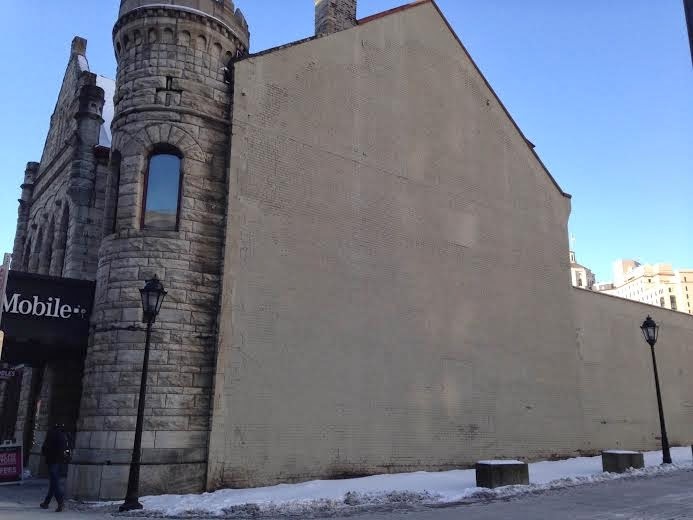 When you see a grassy plot, you know a building once inhabited that spot because you can see traces on the side of an old building that something was once connected to it. 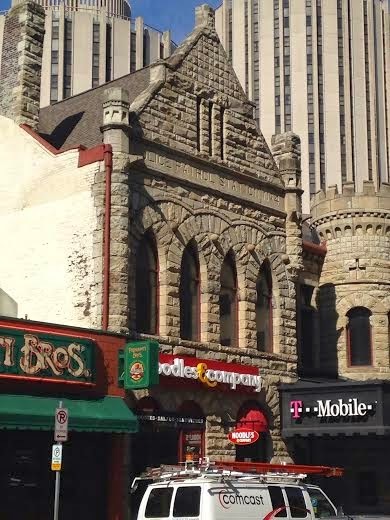 Near the corner of Forbes and Bouquet, directly across Bouquet from the legendary O (Original Hot Dog Shop) is a building that almost looks like a castle/dungeon. It is a strange building. Some traces point to previous uses. T-Mobile Store and Noodles occupy this building today....BLAHHHHH yawn. Noodles is not bad. Just by looking at the building, there are several hints that say this building was once something exciting. The first hint is that black awning. It looks as if it were once a Movie Theater. The next hint comes from the top of the building. So we know it was a Police station at one point. That is where this whole thing gets murky. It looks as if there were several prior uses. This building is surely over a century old. Investigating these old buildings is fascinating to me, it is almost like putting together a puzzle. The next hint that this was a movie theater is seen in this shot. It looks like that back area was added onto the building at some point. There was also clearly a building connected on this side at one point. Now this is a nice grassy area with benches. The perfect place to take a small picnic lunch from the O. I am sure you are getting hungry just thinking of the fries and hot dogs right now. So now we will start investigating. 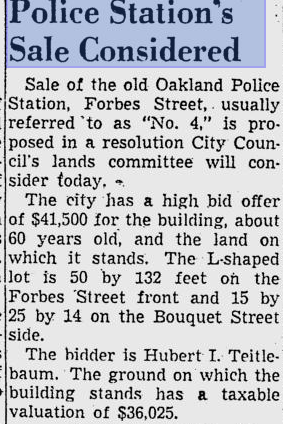 My favorite approach is to look in the old newspaper archives. I looked through the Post-Gazette, Toledo Blade and Beaver archives. the earliest mention of the building that we can find goes back 113 years ago to 1901. 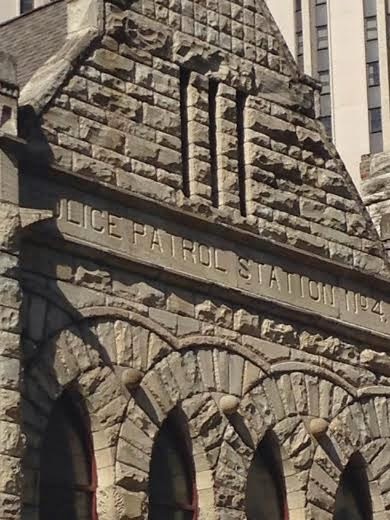 We find proof that this was a Police Station, as the sign at the top of the building suggests. We find quite a bit of racism against Blacks and Native Americans and some of the contributing narrative we saw towards the "urban renewal" theme of the 1960s in which thousands of Black families were displaced. We looked into that pretty in depth last week when we went over East Liberty. 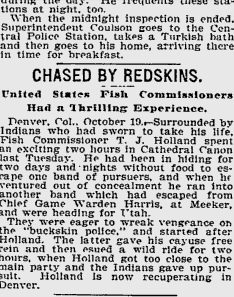 The last part of the article has nothing to do with the building, but I found it ridiculous how much racist stuff was just in one column in the 1901 newspaper. I am glad that we no longer read in the paper "the room filled with colored people." I also find it amazing how much our culture has changed in 113 years. Anyways...now we have a piece of the puzzle with a vision of a horse stable and the police riding around in horse drawn wagons. I still cannot find the date this building was built, but now we have an idea of the scope of just how old this building is. This article from 1952 guesses the age of the building to be around sixty years old. 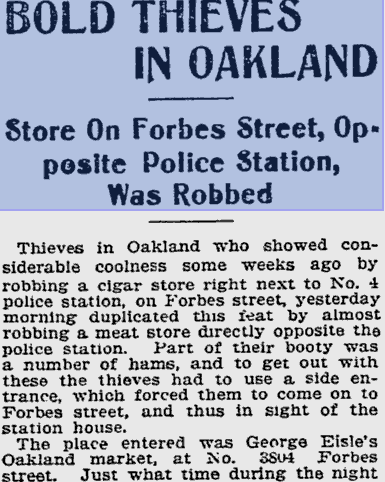 In 1903 we found the Pittsburgh Police force miss a few brazen thieves stole some hams. Next we see the crack team of officers at this station make another blunder in 1903, this time with deadly and stomach turning consequences. A bunch of people would end up electrocuted due to no action being taken by the police. One person would be shocked by a fallen trolley wire from a storm. 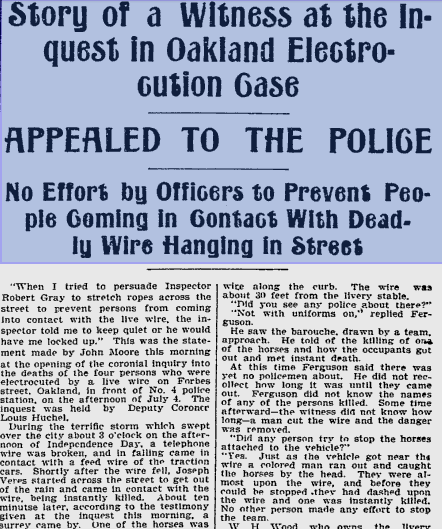 Subsequently no officers would block off the area and a bunch more people would die. I find this especially creepy in that I have ducked underneath that building's awning during really powerful storms. This is likely similar to what the area looked like. 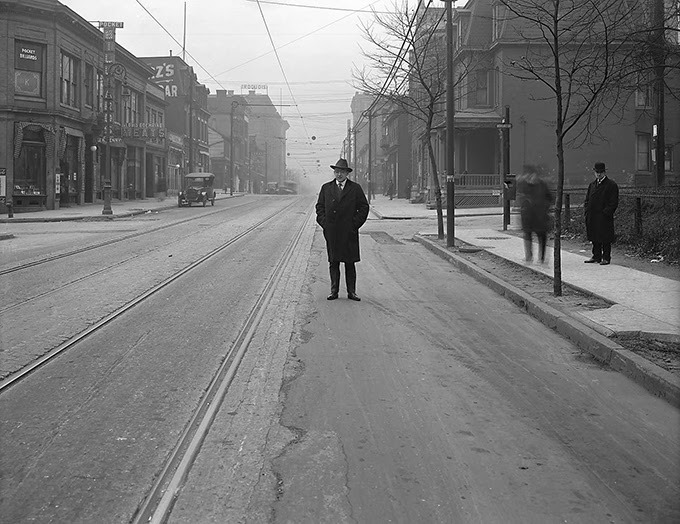 This shot was from 1920. You can see the streetcar tracks and wiring. On the right you can see a house-like building where the current plot of grassy land is and the police station immediately next to it. 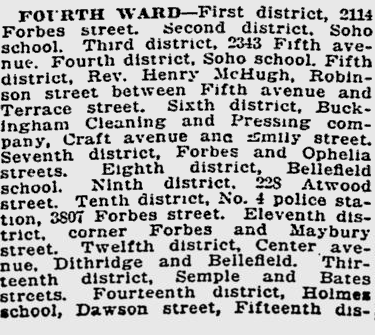 In the 1914 it was the place that local residents practiced their Democratic right to vote in the midterm elections for President Woodrow Wilson. 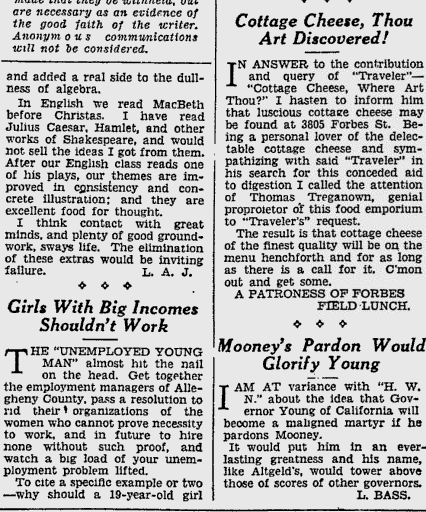 This letter to the editor section from 1930 has something about cottage cheese regarding the address of the police station. I am not sure if this was an insult to the force or some sort of business that was located in the building. We have to remember that the view on the opposite corner would be of the classic Forbes Field ballpark. The thing that shocked me the most about this page was the ridiculously sexist letter on the left hand side of the page. I think women would take offense to being told that they "have to leave to let a man take their job" if they made a decent sum of money. This was the start of the Depression. You see how folks use a crisis as a springboard into pushing some stupid agenda. Nothing has changed there. Considering the way it seems the city handled Oakland's business, it is no wonder they threw the idea of seceding out there. It looks like the wheels were in motion to create better city services for the neighborhood. This old building, which was even old at that time, had an uncertain future. 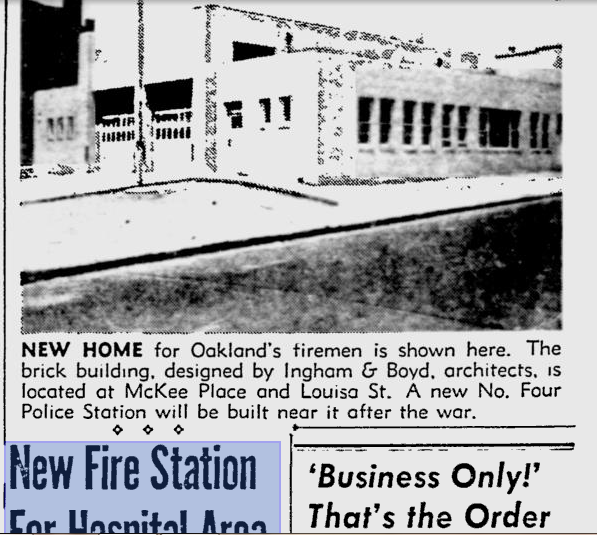 It appears that the police station and adjoining the fire station that was built on the grounds of the stables,were relocated to its current location on McKee Place in 1947. The building looks identical today. I am not sure where the Police station is now because the building that housed it is now a job center. The fire station is still housed in the same building. Tomorrow we will look at the second half of the building's 120+ year history and how it eventually ends up being a boring T-Mobile and a Noodles Restaurant. I guess those are an upgrade from the first 60 years of this building though. Trust me when I say that the next 60 years are more positively exciting.